Brittany is an actor, writer, and Muppet enthusiastic. She grew up on Long Island, where her hobbies included writing love poems and watching TGIF, often at the same time. These days, she writes for Evil Studios Ltd., performs comedy and music, and makes video shorts independently and with the iO Comedy Network. She has performed in independent films, regional theatre, sketch comedy and improv all over Chicago. She is also an artistic collaborator with Theater Unspeakable, with whom she co-created Superman 2050 and Murder on the Midwest Express. She has performed Superman 2050 throughout the country, including Lincoln Center in NYC and the Kennedy Center in DC. Training: She holds a B.S. Theatre, a minor in Creative Writing and a certificate in Music Theatre from Northwestern University. She has studied acting at the School at Steppenwolf and British American Drama Academy. She has studied improv in the Second City Conservatory, iO Chicago, CIC Theatre and currently at the Annoyance. Brittany is a guest blog contributor for DMTraining. For salespeople, social selling is one of the most important parts of Digital Transformation. Social selling creates 45% more opportunities and allows you to outsell peers who don't use social media by 78% (Source: Forbes). Are you prepared for digital transformation? Last month, we covered why it’s vital for salespeople to stay open to learning in order to leverage the benefits of digital. Today, we're going to help you take the next step in your digital transformation by focusing on 3 things you can do to improve your social selling status. As we discussed earlier this month, digital transformation is opening the door for increased transparency and improved collaboration. 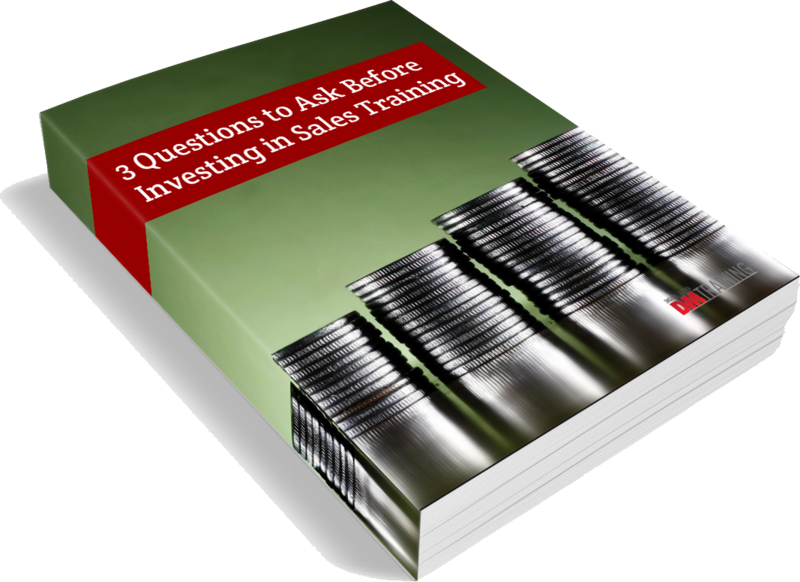 As businesses rethink their approach to organization and communication, it is essential for salespeople to adopt a strategy of lifelong learning. Over the last decade, technological advances have accelerated Digital Transformation in the business world. According to one digital expert, “a decade ago companies were mainly focused on data mining, search technology, and virtual collaboration. Today, executives are directing their energy toward artificial intelligence, machine learning, and the Internet of Things.” Businesses are on the path to digital transformation but have a ways to go. 63% of businesses plan to improve the ‘online customer experience’ this year, but only 26% of organizations are ‘completely ready’ to execute digital strategies. (Accenture Digital) So, what does digital transformation mean for sales? Two key benefits of digital transformation for salespeople are (1) a new level of transparency and (2) easier collaboration. Let’s take a look at how sales managers, salespeople and clients can leverage these benefits.